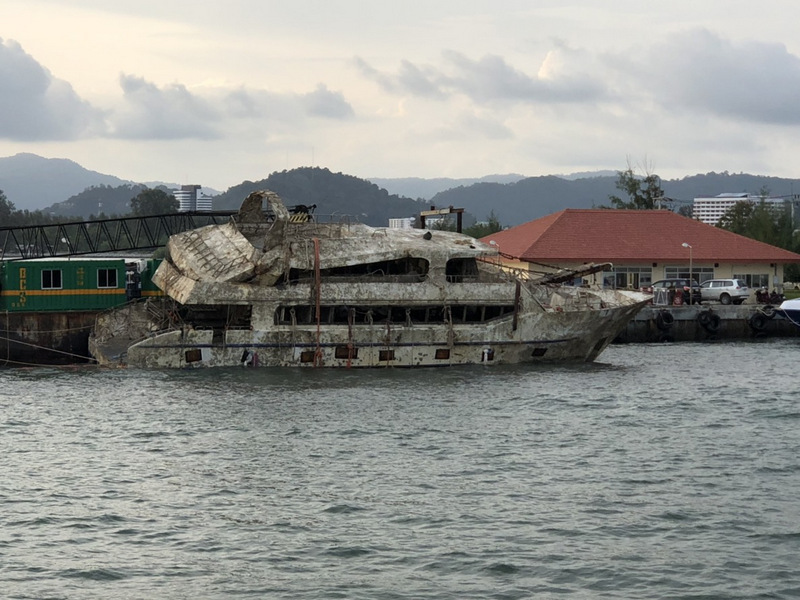 PHUKET: Responsibility for the salvaged wreck of the disaster-struck tour boat ‘Phoenix’ was officially handed over from the Phuket Marine Office to the Royal Thai Police team of investigators today (Nov 20). Present for the handover was Wiwat Chitchertwong, currently serving as the Acting Director of the Phuket Marine Office. 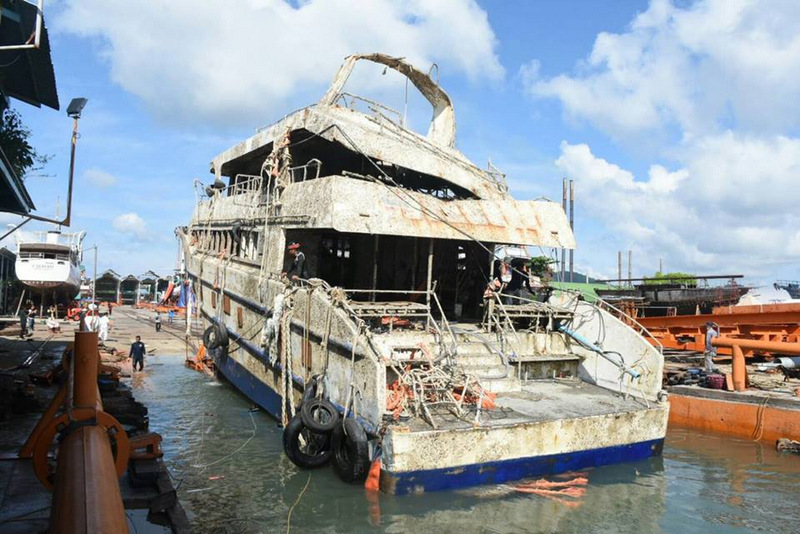 Also present was Surat Sirisaiyat, who was Phuket Marine Chief on July 5, when the Phoenix capsized and sank in a storm squall south of Koh Hei, killing 47 Chinese tourists. 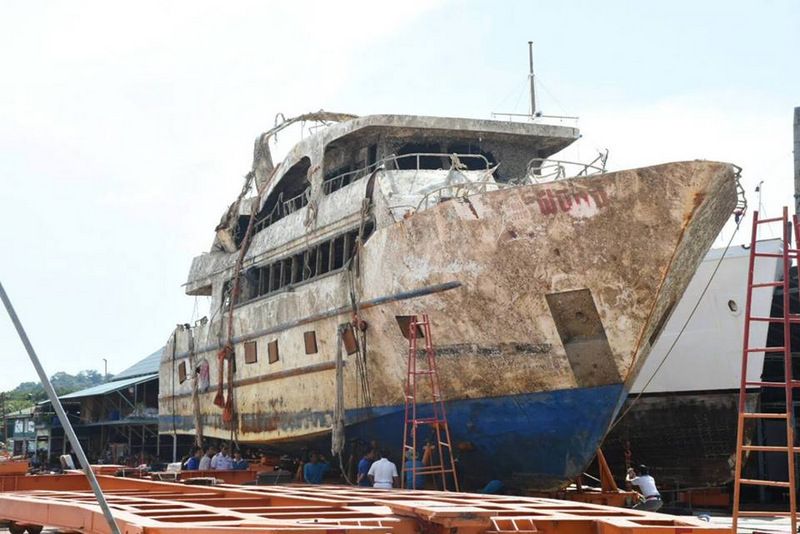 As soon as an official investigation into the disaster was launched, Mr Surat was transferred immediately to the post of Acting Chief of the Ayutthaya Marine Office. 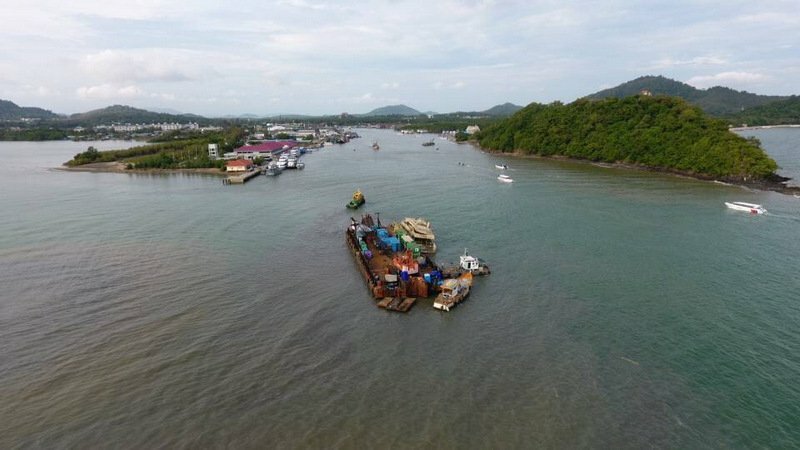 In turn, the Chief of the Ayutthaya Marine Office, Mr Wiwat, was installed as Acting Director of the Phuket Marine Office while the investigation continues. 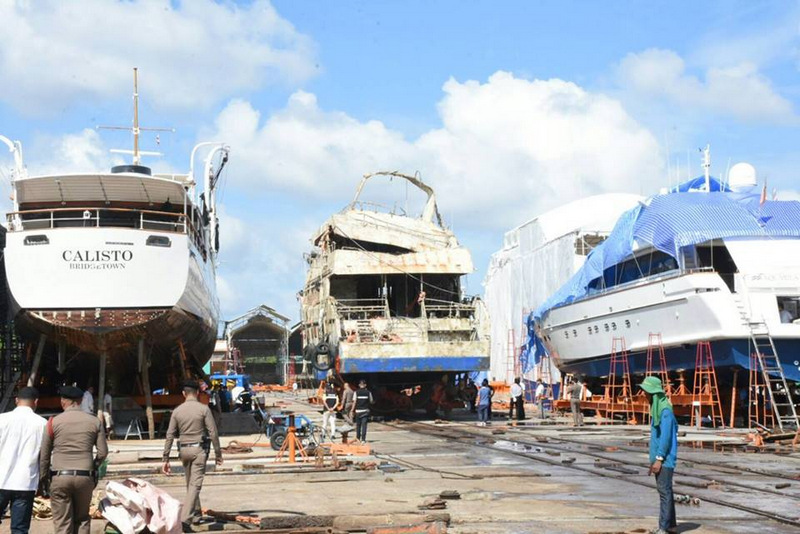 Mr Surat confirmed that the Phoenix arrived at the Ratanachai shipyard on the east side of Phuket Town at 4pm on Sunday (Nov 18), and was pulled up onto stands on the hardstand at the shipyard today. 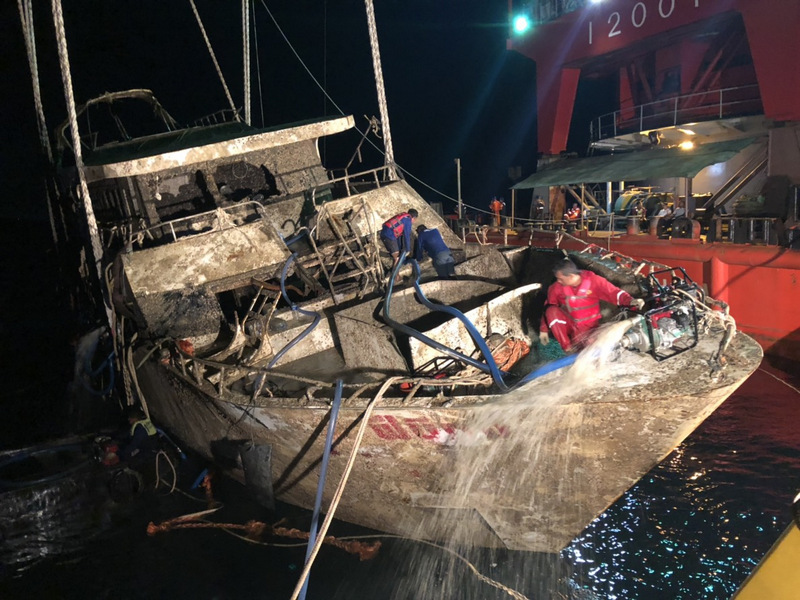 “Now this is done my responsibility with this boat has concluded as it is no longer in the water,” Mr Surat said to The Phuket News this afternoon in a brief conversation by phone. 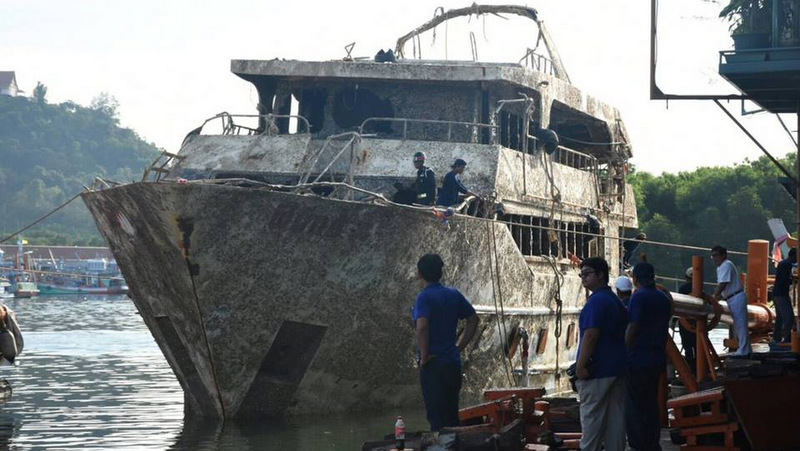 “I have officially transferred responsibility of the boat over to the Royal Thai Police investigation team. Now it is their job to investigate the Phoenix further,” he added. 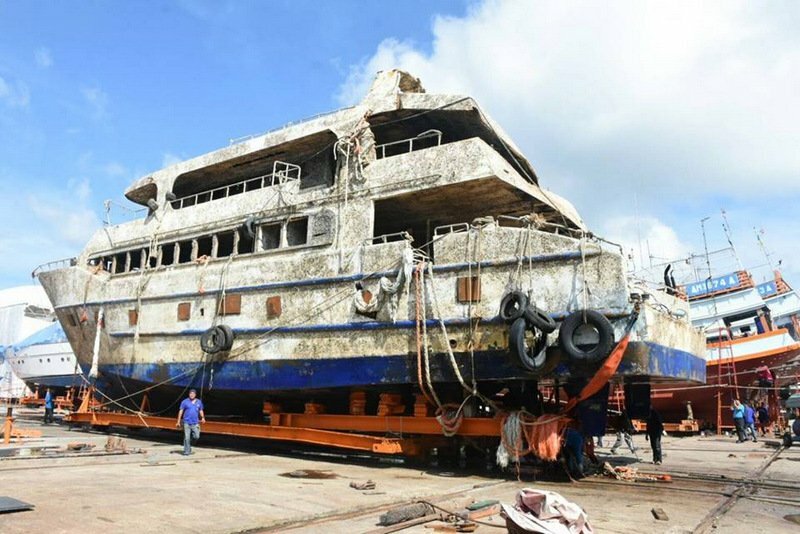 Mr Surat declined to comment further about the Phoenix, which was operating tours for Chinese tourists while he was the Phuket Marine Chief. “I have done my job already. I have no comment about the Phoenix boat. 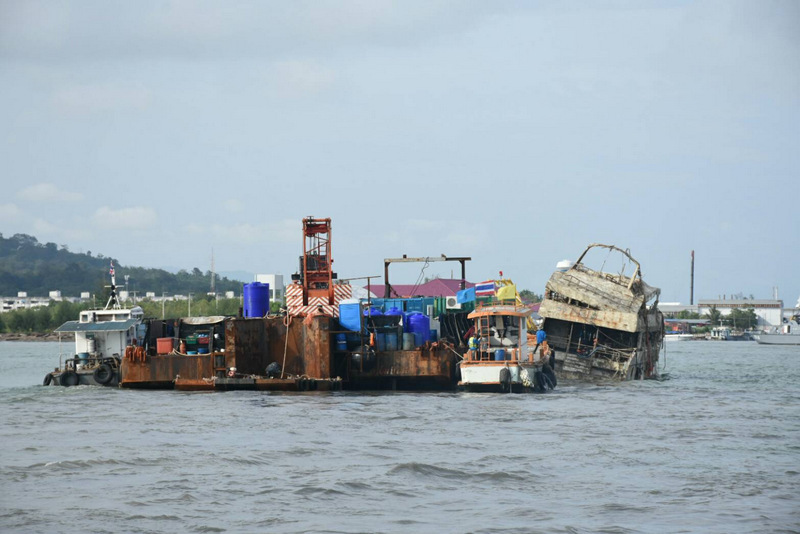 Now, I am on the way back to the Ayutthaya Marine Office,” he said before the conversation was terminated. 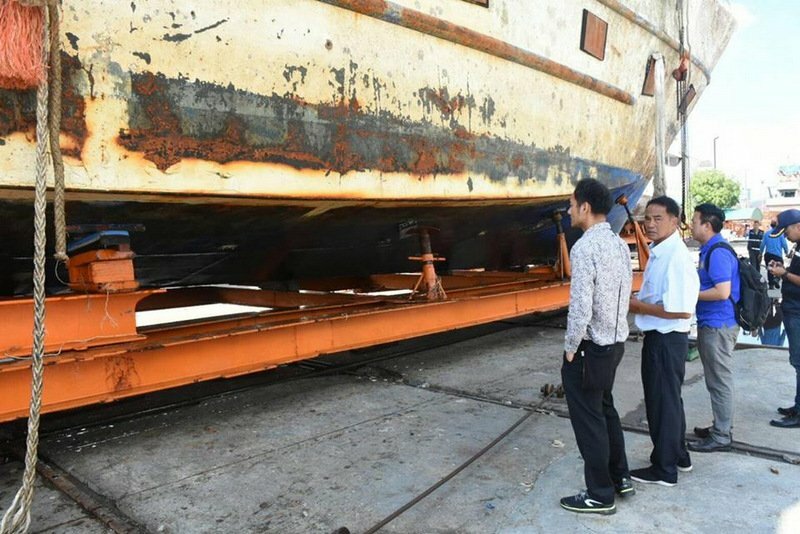 Joining Mr Surat were Marine Department Deputy Director-General Nat Japjai and the Marine Department’s Chief of Marine Engineering Panu Pasakdee, among other high-ranking officials. 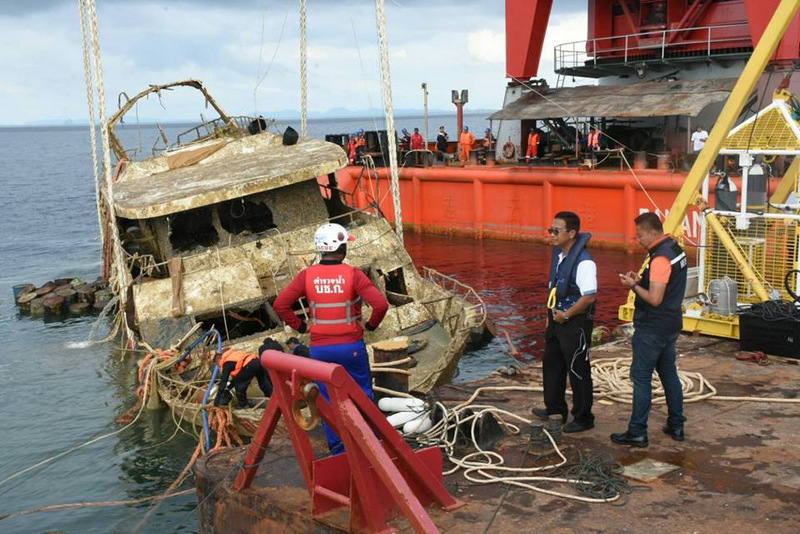 The Marine Department today reported on its Facebook page that inspectors have already identified damage to the Phoenix, specifically that the ballast fitted to the boat had shifted and the boat was no longer balanced in the water – a factor that complicated the lifting process earlier today. 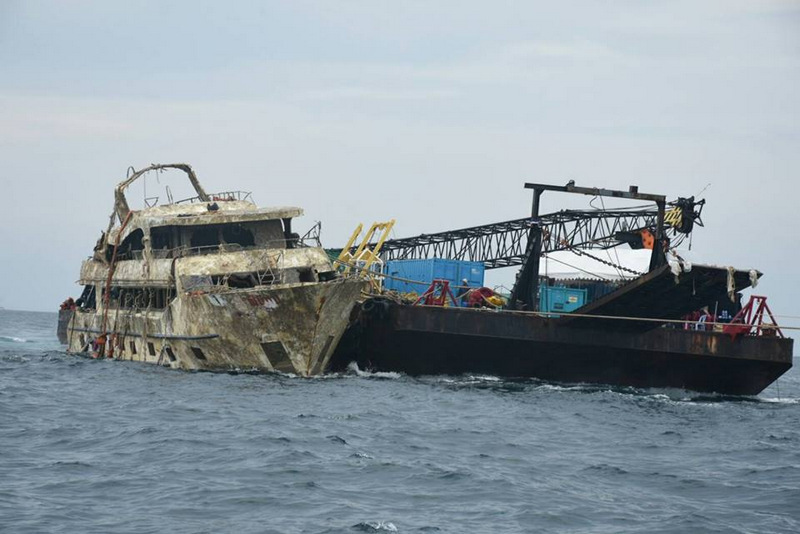 Meanwhile, Tourism and Sports Minister Weerasak Kowsurat has ordered that access to the Phoenix wreck is ‘off-limits’ to all persons except the appointed investigating team while the investigation is ongoing. One almost literarily feel the relieve of a thai official when he dismiss himself of some responsibilities.Not yet talking about the 4 months thai salvage debacle responsibility that costed tax payer 10 million thb for nothing. If I am not mistaken, the Phoenix is now at shipyard were is was built. That makes things 'easy'.